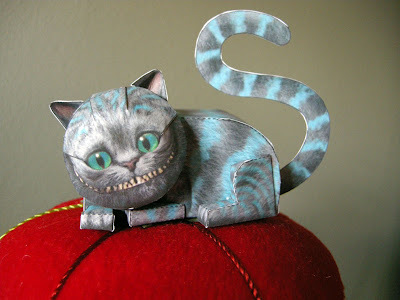 Just a quick note to let everybody know that there are now more detailed step by step instructions available for the Cheshire Cat paper toy I posted here. You can also use this link, here to download them. Thank you for posting the more detailed instructions, my Cheshire is close to purr-fect now.